A start-up company is maintaining California’s pioneering tradition by offering new plant-based diets and innovative ways of delivering healthier food, especially in impoverished areas. Impossible Foods, a food technology specialist founded by a Stanford biotechnology professor in 2011 and based in Redwood City on the San Francisco peninsula, has introduced a program to feed people plagued by food insecurity in the communities where it operates. The company, whose backers include Google Ventures and former Microsoft boss Bill Gates, now makes regular deliveries to the region’s food banks. The main food provided is the zero-cholesterol Impossible Burger, made entirely from plants with reduced environmental impact. The company says the burger contains no hormones, antibiotics or artificial flavors, production uses 75 per cent less water and generates 87 per cent fewer greenhouse gases, and cultivating the ingredients needs 95 per cent less land than beef-rearing for conventional burgers. Impossible Foods adopts another Californian responsible business practice in encouraging employees to volunteer to help with cooking and serving food bank meals. Partners in the venture are Almeda County Food Bank and Second Harvest Food Bank of Santa Clara and San Mateo Counties. Almeda supplies a fifth of its county’s residents and expects to distribute the equivalent of 28 million meals this year. Second Harvest feeds more than a quarter of a million people in the locality every month. 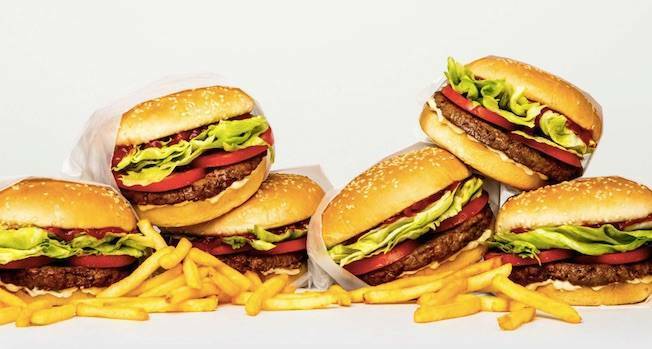 Jessica Appelgren, Impossible Foods’ communications vice-president, said: “We are still ramping up and enjoy strong demand for our product from chefs and restaurateurs, but at the same time we know people in our home town regions are struggling to afford food that’s delicious and nutritious. Zarbara Gehlen, Second Harvest’s food sourcing and inventory director, said: “We have known for a long time that nutritious food – fruits, vegetables, whole grains and proteins – is the foundation for a healthy, productive life. In the US more than 45 million people – one in seven – use food banks, reports Hunger in America, the nation’s food bank network, against a background of claims that nearly half the country’s food is wasted. The food insecurity figure is even higher in the San Francisco Bay area, where in some parts a family of four is said to need an annual $90,000 income (£65,000, €73,000) for basic expenses.